Shuffle II Tan - 3 7/8" closed linerlock. 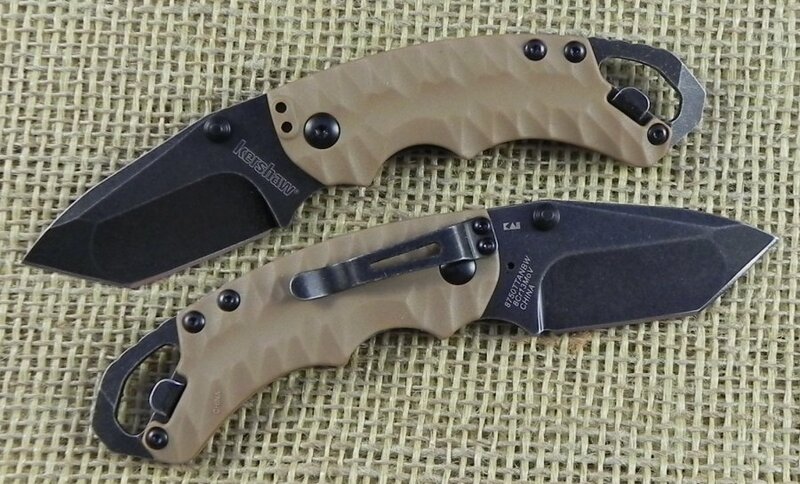 2 1/2" BlackWash finish 8Cr13MoV stainless tanto blade with dual thumb studs. 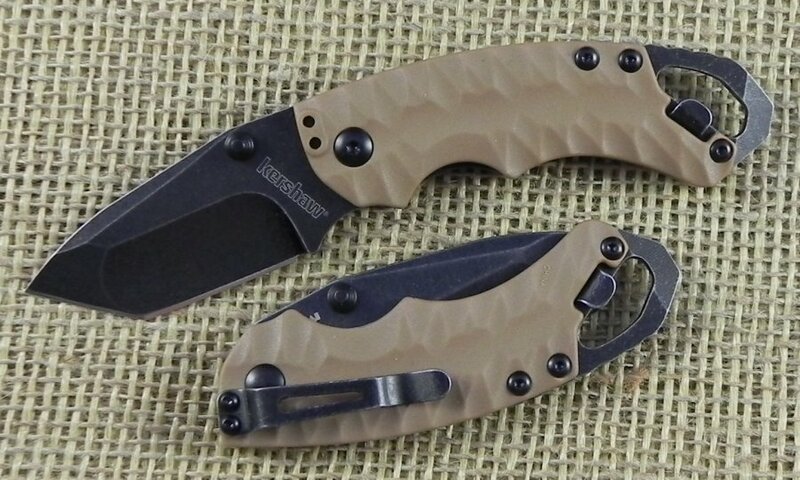 Grooved desert tan glass-filled nylon handles with flathead screwdriver and bottle opener pommel. Lanyard hole. 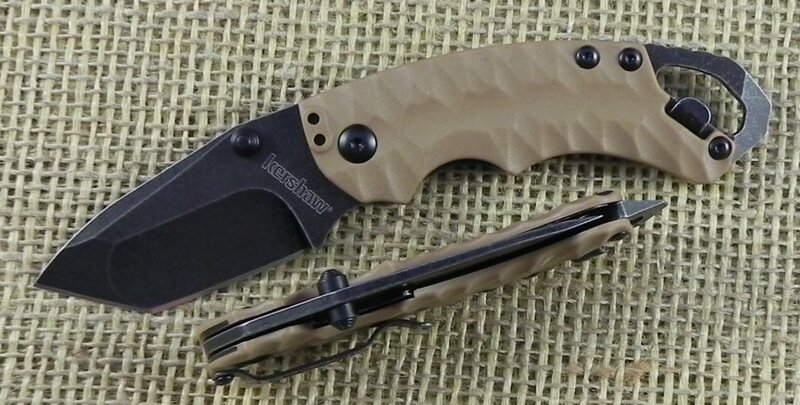 Reversible BlackWash finish stainless pocket clip.